My Weekly Indicator post is up at at XE.com . The big news this week was what happened to the US$. Y'know ... Ed Morrissey of Hot Air is consistent. For the last 8 years (which, interestingly enough, corresponds with the Obama presidency) Ed has reported that the economy has been terrible -- just terrible. Ed will take any statistic that has the potential for negative spin, and do just that -- spin it as negatively as possible. I knew when the headline employment number came out, Ed would be all over it. 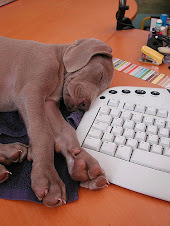 And, sure enough, he printed "Meh: US added 151,000 jobs in January" within hours of the BLS release. First of all, let's look at Ed's actual qualifications to write about this topic. Does he have any meaningful economic background or is he simply a blogger with a strong political angle? Here's a link to his Wikipedia page, and the answer is "no" on the qualification question. There is no mention of a college major or minor in econ (in fact, there is no mention of any higher education), nor is there any mention of a job in finance. Econ isn't something you can teach yourself. Most of the people at the Federal Reserve and in financial services are at least econ minors. Most, in fact, are CFAs and Ph.Ds. Most of Ed's story is your standard "cut and paste" job, meaning there is little actual self-produced analysis. What is "original" is this specific mentions of "underemployment:"
Numerous news services heralded the a drop in U-3 rate of unemployment to 4.9%, but the number of people not in the workforce also rose by 360,000 people from last month (table A-16). That follows an increase of 284,000 the previous month. Those not in the labor force who want a job increased by 461,000, and that follows an increase of 379,000 in the previous month. The latter measure had been falling in 2015, but has reversed itself by 840,000 in two months — both in the 0.7%-growth-rate Q4. Somehow I doubt this graph was even on Ed's radar during the Bush years when it started dropping. 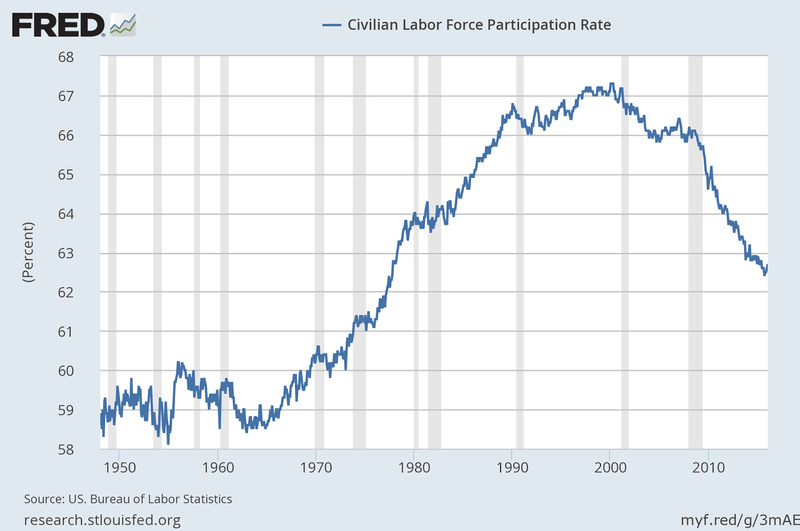 However, the pace of acceleration has increased since the end of the recession. At least 50% (and probably more) is caused by retiring baby boomers. The increase in life spans means some people keep on working because they like it. There is a percentage of people ages 24-54 (the prime working age) that have left the labor force. Most of them are people with a high school or less educational level who used to work in blue collar industries who have been left behind due to globalization and automation. These data points aren't on Ed's radar screen. So, here's the real story. Economists and demographers have known about the LFPR drop for some time. There has been a ton of scholarly, well-researched articles on the topic. And their general conclusion is most of the drop can be explained through reasoned analysis and explanation. In addition, Ed Morrissey is completely unqualified to discuss or write about economics. There is nothing in his background to indicate he understands the nuances of the science and he's obviously more interested in creating negative political spin than actionable intelligence. He has yet to post any link to a scholarly article on economics or the markets, instead posting excerpts from news storiees. This of course won't stop him from writing on econ. He (unfortunately) suffers from the Dunning Kruger effect. And his readers will certainly learn nothing meaningful from his "analysis." All we can do is keep a public record of his gross incompetence in the hopes he will eventually discontinue his efforts. November was revised upward by 28,000. December was revised downward by 30,000, for a net change of -2,000. The more leading numbers in the report tell us about where the economy is likely to be a few months from now. These were generally positive. the average manufacturing workweek rose from 41.6 hours to 41.7 hours. This is one of the 10 components of the LEI and will be a positive. construction jobs increased.by 18,000. YoY construction jobs are up 264,000.
manufacturing jobs increased by 29,000, and are up 45,000 YoY. Professional and business employment (generally higher-paying jobs) increased by 9,000 and are up 620,000 YoY. temporary jobs - a leading indicator for jobs overall decreased by -25,200.
the number of people unemployed for 5 weeks or less - a better leading indicator than initial jobless claims - decreased by -156,000 from 2,405,000 to 2.249,000. The post-recession low was set 5 months ago at 2,095,000.
the index of aggregate hours worked in the economy rose by 0.4 from 104.9 to 105.3. The broad U-6 unemployment rate that includes discouraged workers was unchanged at 9.9%. the index of aggregate payrolls rose by 0.9 from 126.9 to 127.8.
the alternate jobs number contained in the more volatile household survey increased by 615,000 jobs. This represents an increase of 2,440,000 jobs YoY vs. 2,665,000 in the establishment survey. Government jobs fell by -7,000.
the overall employment to population ratio for all a ges 16 and above rose by .1 to 59.6 m/m and +0.3% YoY. 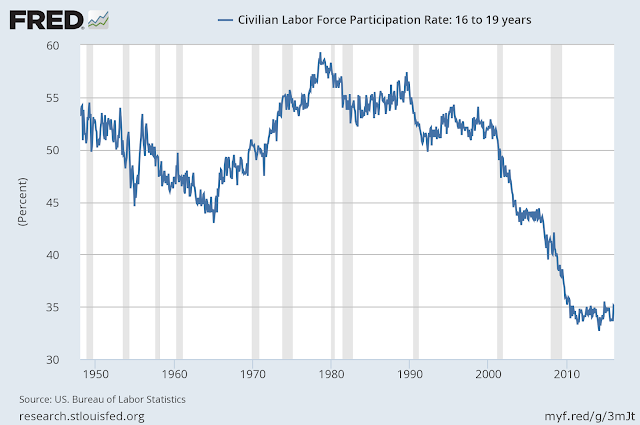 The labor force participation rate rose 0.1% from 62.6% to 62.7% and is down -0.2 % YoY (remember, this incl udes droves of retiring Boomers). wages and hours for December were revised upward. 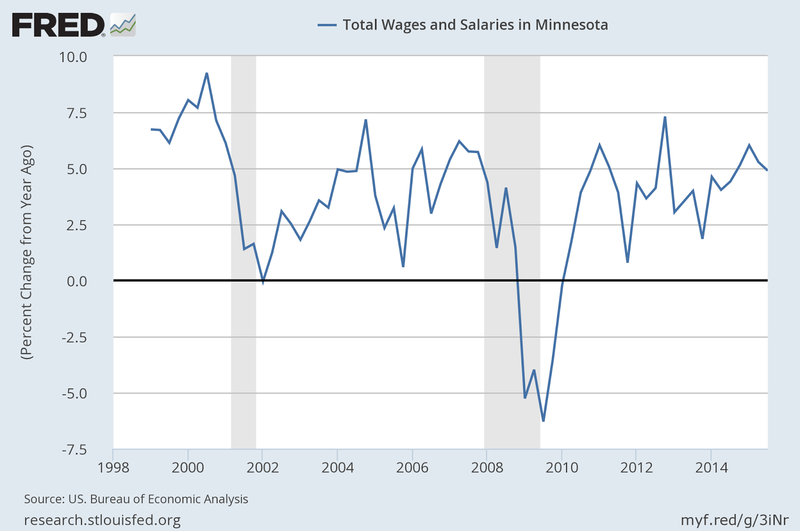 This means that real aggregate wages had a big increase, probably over 1% in just one month. Bottom line: January was a great month for workers' paychecks. Finally! For the last 7 months, I have been engaged in a real-time experiement to see if I could use economic indicators to forecast the outcome of the 2016 Presidential election well in advance. I've examined the best coincident measures of the Election Day economy found by Nate Silver. I've examined the correlation between housing permits, a long leading economic indicator, and those coincident indicators. I've examined the "Bread and Peace" model which makes use of real disposable personal income as a decisive economic indicator (in the past 20 years, it has not fared so well, especially in 2012). I've compared 160 years of election returns with NBER recession dates to conclude that whether or not the economy is in recession in the 3rd Quarter of the election year has forecast the outcome of the popular vote 75% of the time. I have made a preliminary forecast that the democratic nominee is likely to win the election, based on the general positivity of the long leading indicators through October 2015. One of my favorite economic indicators, however, is real retail sales, measured in the aggregate and per capita. And lo and behold it has one of the best correlations of all with Presidential election results. It turns out consumers really do vote with their wallets. 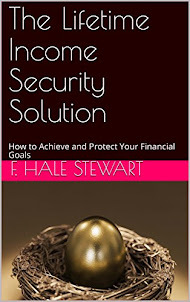 It is considerably better than using income, probably because it is the acid test of the level of confidence average people have about the economy. As a result, how much of what is in their wallets they are wiling to spend is an excellent predictor of their voting preferences in Presidential elections. Specifically, during the last 60 years, the following statements have always been true and have collectively always accurately predicted the outcome of the Presidential elections. 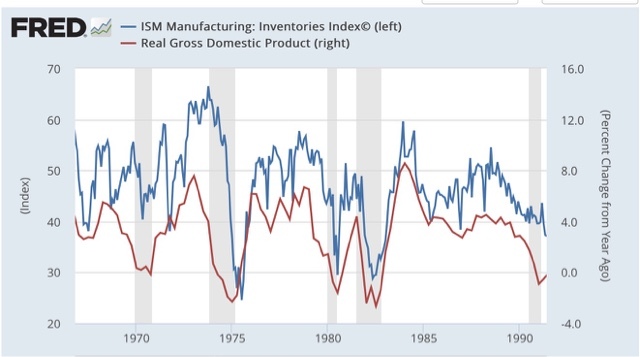 If there is no consumer spending recession, defined as at least 2 consecutive quarters' decline in real retail sales per capita, during a Presidential term, the candidate of the incumbent party wins the Presidential election. If there is a consumer recession, and consumers are spending less per capita at the end of the third quarter of the election year than they were 3 years previously, then the candidate of the incumbent party loses the election. If there is a consumer recession during the final two years of the Presidential term, the candidate of the incumbent party loses, even if consumers are spending more at the end of the third quarter of the election year than they were 3 years previously. If there is a consumer recession during the first two years of the Presidential term, but the consumer has completely recovered (which has always happened), the candidate of the incumbent party wins the election. Here is a table giving the breakdown of real retail sales per capita, ranked in order of strength from Q3 of the first year of the Presidential term through Q3 of the final year of the term, a total of 12 quarters. I begin with the third quarter of the President's first year in office since voters historically excuse the President for responsibility for the economy until s/he has been in office at least 6 months. In general, the stronger the growth in real consumer spending during the 3 year period leading up to the Presidential election, the higher the percentage of votes for the candidate of the incumbent party. Further, every time consumer spending growth was negative, the incumbent party's candidate lost. 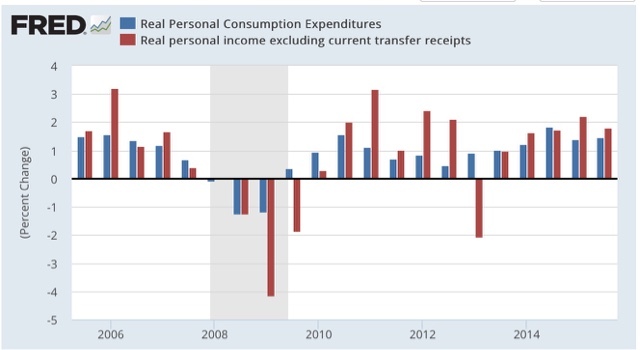 Every time the consumer spending growth was over 4%, the incumbent party candidate won. At present were are 9 quarters into the 12 quarter period for the 2016 election. Real retail sales per capita are up 3.2% since Q3 2013. If they continue at that pace through Q3 of 2016, they will be up 4.3%, forecasting a win by the Democratic candidate. 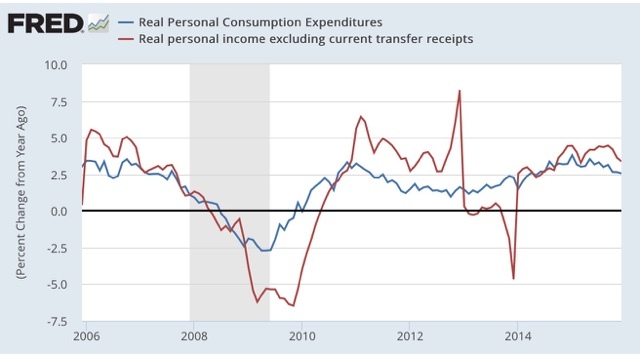 Secondly, when consumer spending growth during the three years leading up to the Presidential election was weakly positive (i.e., 4% or less), there was always at least 1 consumer spending recession. Whether and when the recovery from the downturn happened is vital. If it happened early in the term, the candidate won. If it happened late in the term, specifically including the last year before the election the candidate lost. [Note that while in 1956, such a recession was ongoing at the time of the elction, the overall spending increase for the term was +5.1%.] Probably a weighted average where periods closer to the election get more weiighting than earlier periods would be an improvement in the model, but it is beyond my scope. In 2015, real retail sales per capita did decline ever so slightly from Q3 to Q4 in 2015. A one quarter decline is not unusual at all. If, however, it continues to decline, that will be consistent with a scenario similar to that in 2000, where the candidate of the incumbent party, Al Gore, lost the election although he eked out a slight victory in the popular vote. To summarize, if consumers vote their wallets this year, the democratic nominee is likely to win, provided there is no spending recession over the next 8 months. My forecast for the 2nd half of this year is up at XE.com. US$ permitting . . . . 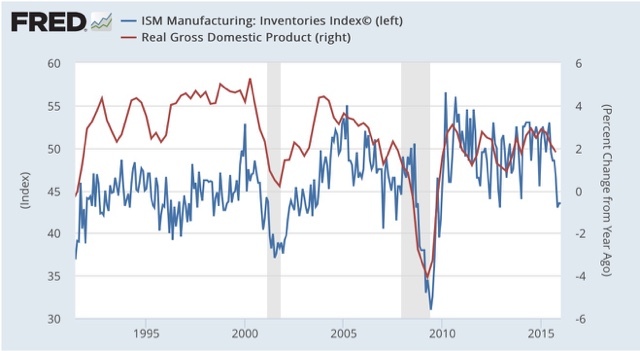 The overall most important economic question this year is whether the industrial recession caused mainly by the strong US$ will end, and if so, when? I have suggested that there are signs of a bottoming out in the spot price of the trade wieghted US$ and industrial commodity prices. 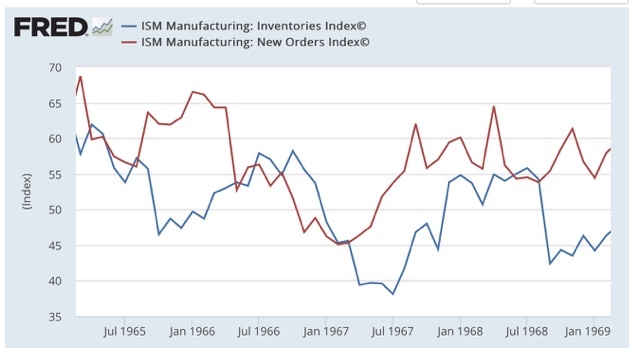 Yesterday we got a third indication in the ISM manufacturing report. 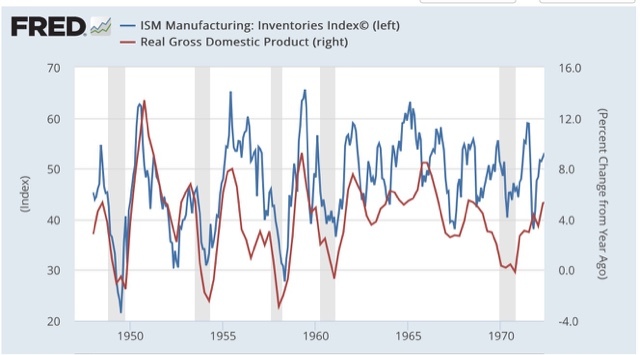 Besides being a more timely sign of a Quarter's GDP, as you hopefully can see in those graphs, the ISM inventories index also bottoms out sometime between the middle of a recession to a few months after its end. Most often the bottom is wihin one month of the bottom of the recession. 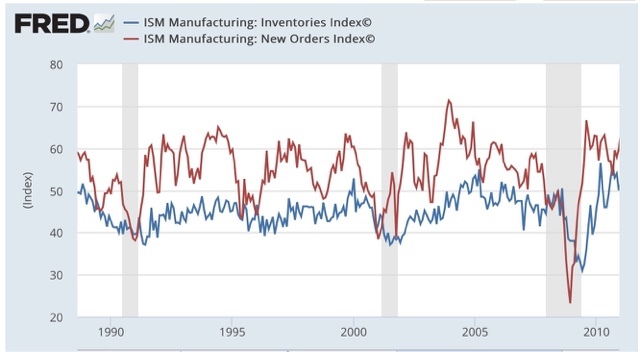 The inventory index in 2015 made a bottom in October. Usually - but not always - there is no lower bottom. 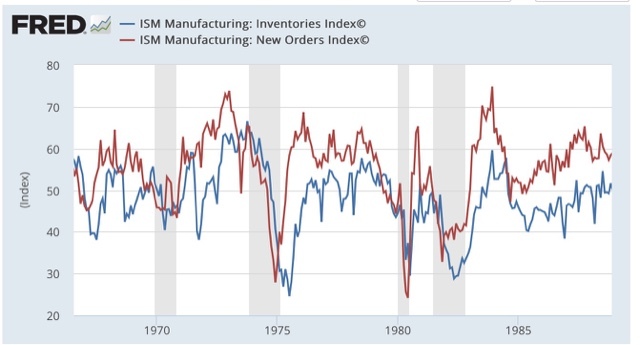 In January the ISM new orders index spiked higher, into expansion, while the inventories index remained near its low, showing continued contraction in inventories. 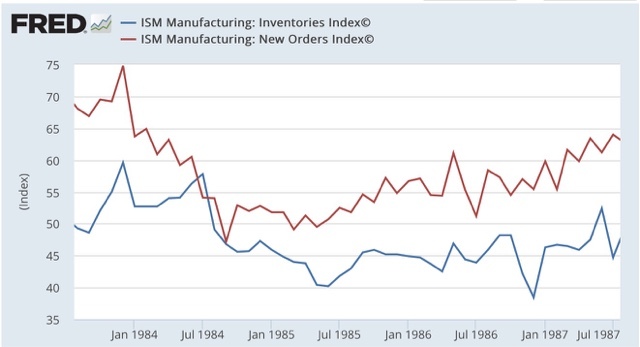 Typically both new orders and inventories make V-shaped bottoms. 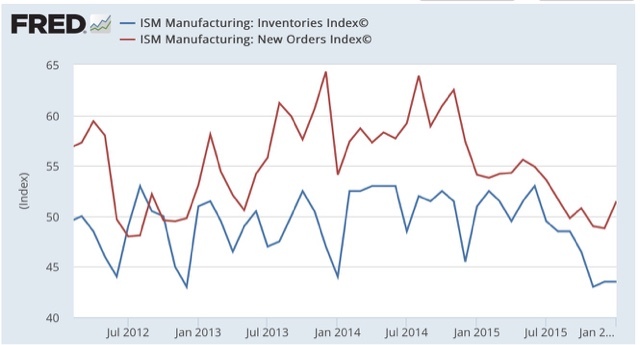 While it is only one month's data, January is most consistent with new orders exiting the industrial recession, with inventories continuing to contract, but perhaps less intensely, in the next few months. 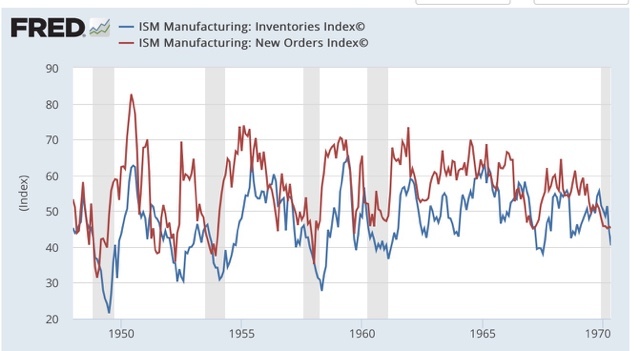 In short, more evidence of an approaching bottom to the industrial recession . 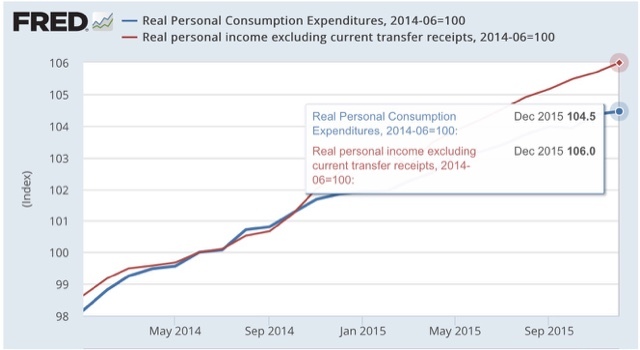 Real personal income (red in the above graph) also was above average throughout 2015. 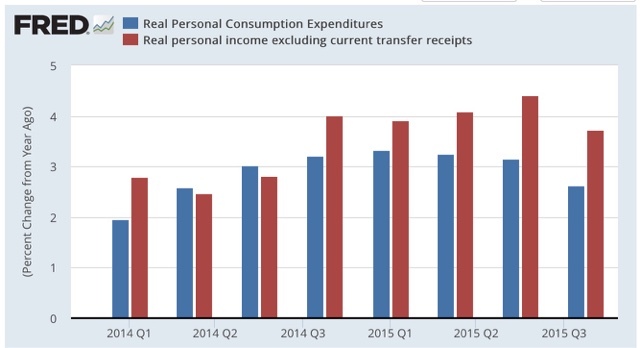 Real income has grown by 6%, while real spending has grown by 4.5%. In other words, consumers have spent about 3/4 of their increase in income. But how much of that is gas savings? In the bar graph above, we can see that in the 12 months before the big decline in gas prices, real income increased by 2.4%, and real spending by 2.7%. The average annual increase in income has been 3.9%, while spending has averaged 3.0% annualized. This means that consumers have spent about 20% of their gas savings (+0.3% vs. +1.5%), relatively more in the first half of 2015 vs. the last half. 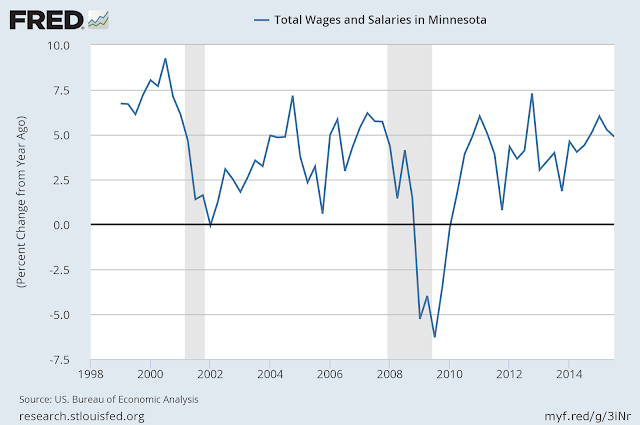 Update: Let's think about this: As I show below, Minnesota is at full employment with solid, state-wide wage gains above the national average. And Hinderaker thinks that's bad. What an idiot. John Hinderaker is now the President of the Center of the American Experiment, a think tank. First, it's obvious his new bosses didn't even look at his past work. As I've documented, his economic analysis was 100% wrong for an entire year (2014) . Over at his website, he has a 30 second video up, arguing that Minnesota is actually 30th in job creation. However, there's a big problem with Hinderaker's cute little video: he's using 2004-2014 as the basis for comparison. No reputable economist would use that time frame instead, opting for the period of expansion as determined by the NBER. Why? Because that's the standard time unit we use in the profession. Hinderaker's time period is simply pulled out of thin air, probably because it offered a the worst possible performance to "bolster" his claims. 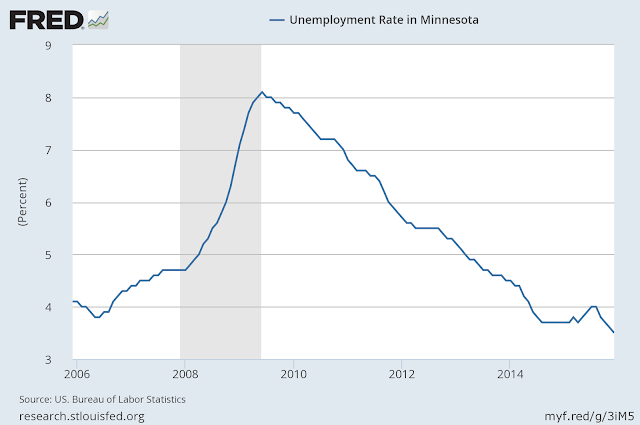 The Minnesota unemployment rate peaked a little above 8% at the end of the last recession. It currently stands below 4%. Economists generally consider 5% as full employment, which means Minnesota is doing very well, especially considering the the slower pace of this expansion. As a result, wages and salaries are increasing at a strong rate, rising between 2.5% -5% on a Y/Y basis for the entire expansion. 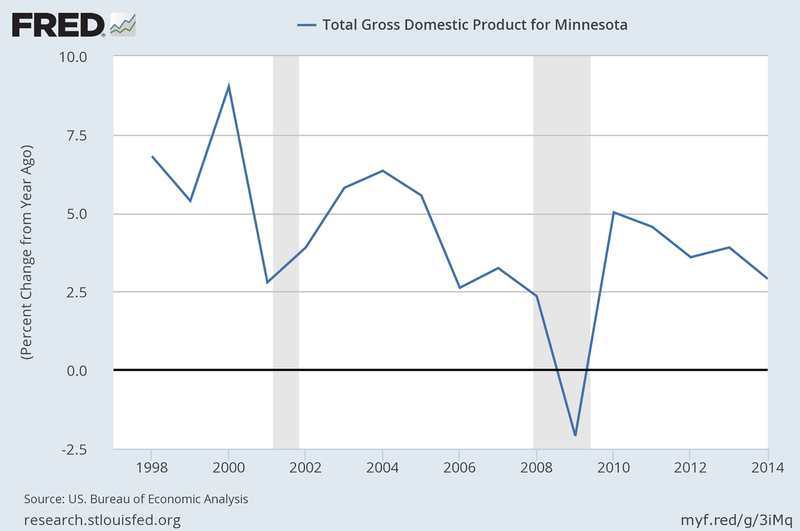 Above is the annual Y/Y percentage change in Minnesota GDP. It's slowest pace was 2.9% in 2014. So, the state is at full employment, wages are growing far above the national average, and total growth is very strong. As usual, Hinderaker has no idea what he's talking about.